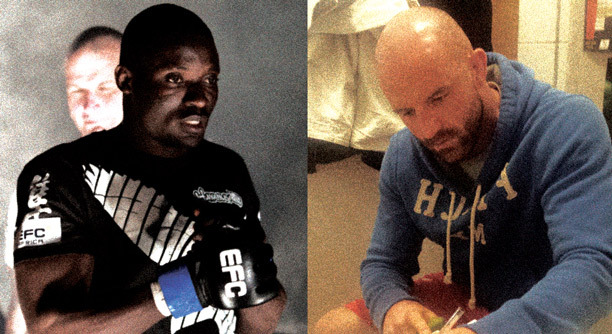 Francois Kabulu to face Peter Queally at EFC 35. Johannesburg (South Africa) - It was announced earlier today that Francois 'The Frenchman' Kabulu is back in EFC and wanted to compete as soon as possible. Kabulu gets his wish and will face off against EFC’s most recent signing, Irishman Peter Queally on the EFC 35 main card. This bout will see two very strong, durable athletes go toe to toe inside the Hexagon. Both fighters are known for having raked up their wins through hard fought decisions. His opponent is EFC’s first signing since expanding into a global organisation, Peter Queally. The Irishman has a professional record of 4-1 in his home country and this will be his debut fight in the EFC. “Pedal to the mettle. Breaking my opponents. And big knockouts, I have power at 77,” Queally stated in an interview with SevereMMA.com about what fans can expect. “When I win, they (the fans) are going to applaud. I am going to win these fans big time,” he concluded. Will Queally ruin Kabulu’s homecoming, or will the Frenchman give the Irishman a warm welcome to EFC.